I can see very clearly why Wenger is usually so reluctant to play with two holding defensive midfielders. The formation will then have to transform into 4 2 3 1 which means that the team is shorn of a creative midfielder who can link defence into attack. Just as Ramsey used to do and of course as Wilshere has been doing so brilliantly until his recent knock on that ankle. Having a creative midfielder means he can hold onto the ball and more importantly carry it forward into more dangerous areas further up the pitch thus quickly switching away from defence and into attack. But it also provides another very important advantage. When the opponents win the ball they more often than not find space to move forward direct on the defensive line. This is because when there are two defensive midfielders they naturally tend to drop back in front of their defence or even stay further back than they should be even if their team have the ball! This is what had been happening last night. 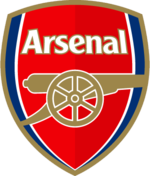 Arteta and Flamini could not bring the ball out of defence with any great success and also they tended to stay back most of the time inviting the Saints players to come further forward. This is the major reason why we never got a kick in the first half. Another that may have helped of course is the late arrival at the stadium. I don't know about the latter but it may have been a contributing factor for the all round lack of energy. In the second half this misalignment in midfield was corrected by Wenger and Flamini and Arteta moved up which changed the complexion of the whole game. Flamini's ban may be a blessing in disguise therefore. Wenger will now play Arteta along with either the Ox or Rosicky and a natural balance may be restored. In my review of the game against Villa I pointed out, among other things, the need to kick out complacency from the Arsenal players. They were coming from an impressive win against Spurs in the FA Cup and almost all punters were predicting an easy Arsenal win. And this was in the Arsenal players' minds as soon as the two goals went in. They took their feet off the gas and dropped several levels. This was really frustrating for me and for a lot of Arsenal supporters as a 2 goal lead can be very misleading. The other team only need get a goal back and with the home crowd behind them they will throw caution to the wind and go for it. After all they have nothing to loose. This is what happened of course and this complacent attitude has been apparent in all of Wenger's Arsenal teams. They think that the game is won when they go ahead when in fact it is then that they have to step even further up to kill teams off. This complacent attitude can only come from the manager and from the fact that most of the players are foreign. They have not understood that in England teams fight till the end, until the last kick, going for every ball whatever the score is. Ferguson's sides never let teams that were down get up again did they? They pursued them even more relentlessly after they scored and the game looked to have been won. Manchester City this season never stop playing after going ahead. They carry on their attacking play scoring 4s 5s and 6s. Pellegrini has been astute enough to have understood the need to kill teams off. I have to say that Wenger has not. You may think that I am going on and on when in fact I should be concentrating on Arsenal's resilient attributes and overall quality play. But what if Villa got a second? What if we come up against a more assertive team who will not let us off the hook? We need to win this game to go to the top of the League. Nearly all punters inclusive of a lot of Arsenal fans consider that the title is Man City's to loose. And they are right as they have the deepest squad full of quality. And if they do manage to throw it away then Chelsea need to falter up too. But wait a minute all these punters are forgetting that if Arsenal win tonight then the others have to catch us. In a way we are the ones that potentially could throw it away! Tonight's game could be hiding a lot of traps for Arsenal. The first is that of overconfidence as everybody bar most of the Villa supporters expect us to win. Our easy win against Spurs also can impact in the Arsenal players' mind. This needs to be resisted. The second is the fact that Villa have already beaten us this season. This means that they can feel confident that they have the measure of Arsenal. Believe me this is a strong incentive for a team with the inner belief of being able to spring a surprise. But what Wenger needs to especially address on this occasion is to counteract Villa's speed merchants in Abgonlahor and Benteke. Villa are likely to adopt the same tactics as in the game at the Emirates. They will allow Arsenal possession, press the creative players allowing them little room and once the ball is won release the speedsters on the counter attack. Arsenal's defenders will have to be concentrated and astute enough to stick close to these two in order to prevent them from inflicting damage. Wenger will likely start with the more experienced star performers in the game with Spurs keeping Gnarby on the bench. He needs wise heads in this tricky away game.